Study the science of art. Study the art of science. Develop your senses- especially learn how to see. Realize that everything connects to everything else. Leonardo da Vinci, the great thinker wrote about how to develop a complete mind from utilizing brain, Lt. and Rt. sides. Like his scientific findings were made in artistic drawings to explain a complicated truth. He began his career as an artist. But his interest in the world around him drove him to study music, math, science, engineering and building design. Few of these designs were built during his lifetime. But they show his extraordinarily forward- thinking mind centuries ahead of his time. Leonardo designed early versions of modern weapons and machines such as robots, tank, helicopter etc. When disease spread inMilan, he designed a city that would help resist the spread of infection. He designed devices to help people climb walls, and devices to help people fly. 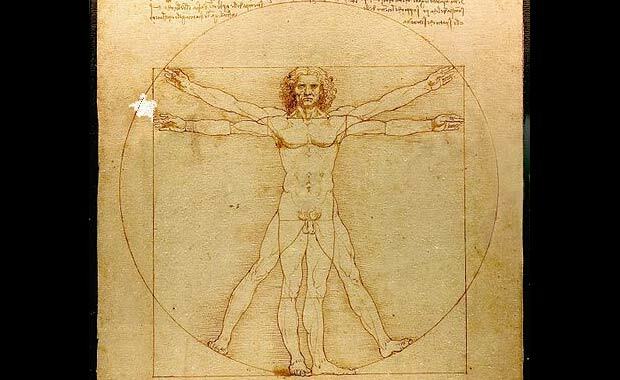 The image “Vitruvian Man”, Proportions of Man exemplifies his fruitful thinking united art and science to be ONE, the relationship of man to nature. The size of the human body is relationship to geometry and the writings of the ancient Roman building designer Vitruvius. ONE picture contains millions of words but Few people got its KEY, The Truth. Most people in the world consume FACT and FAT, so it’s wasting to give them the truth.